The book can be purchased at the Latvian Political Science Association. The proportion of old people in the population is increasing and care for older people has become an urgent challenge in public policy. 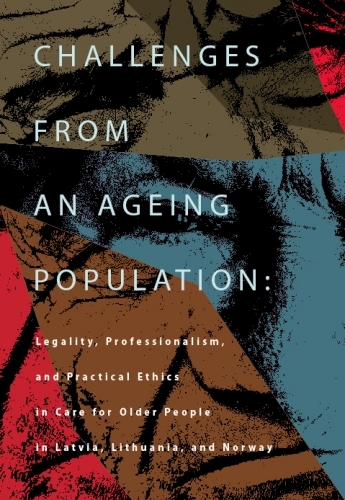 Various specific solutions have been developed in different countries and by studying these different strategies, social research might contribute to the development of useful policies for the care of an ageing population. This book presents the results of a project comparing social services for older people in the three countries: Latvia,Lithuania and Norway. The project was designed to describe, analyse, and compare how the three countries are meeting the challenges of demographic change and to highlight principal differences and similarities in their social policies.The focus was the norms guiding professional social workers and health workers making assessments and decisions at the front line of the practical work of finding good solutions for care of the oldest people in our societies. The dominant norms are described and accounted for and the significance of differences in institutions and norms are discussed. The main part of the data was collected during 2010 and 2011. A minor part was collected before the global financial crisis of 2008.